London, BL, Cotton Tiberius A. iii is a compilation manuscript made at Christ Church, Canterbury, (arguably) in 1020–1023. Its ninety-four texts and two illustrations initially seem to present an incompatible miscellany: a monastic customary and texts concerning pastoral care; private prayers and public liturgical forms; scientific treatises and prognostics. This book argues that when viewed as a product of the third generation of the English Benedictine Reform, and an episcopate that was almost entirely monastic, however, the codex begins to make sense as a reflection of a reform movement that involved much more than the ejection of some clerks and the establishment of a few Benedictine monasteries and monastic sees. A more thorough-going and longer-lasting attempt to create a Holy Society in England is witnessed in the sum of the reform’s achievements – establishing a unified monastic episcopate, recovering and protecting lands and wealth, introducing liturgical innovations, expanding book production and decoration, focusing on teaching and learning, fostering saint cults and the cult of the Cross and developing effective pastoral care – which are all witnessed in the Tiberius manuscript. 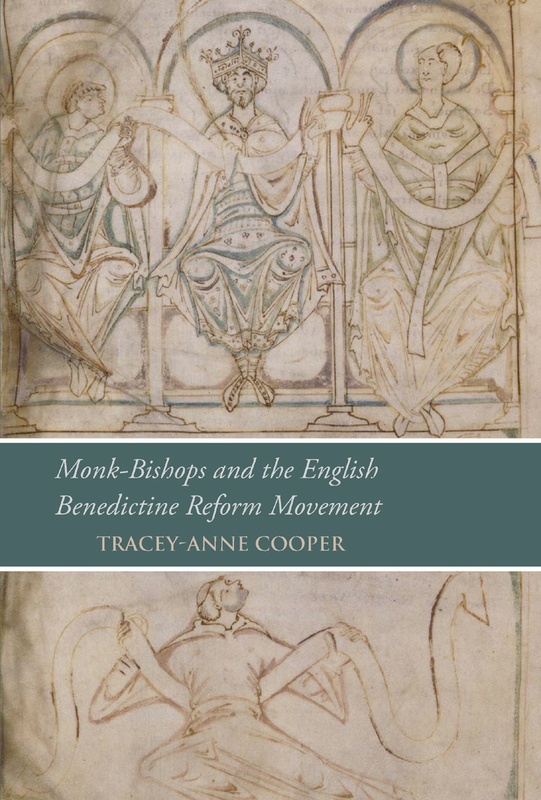 The synergy produced by compiling this manuscript demonstrates the breadth of this reform which coupled monasticism with both pastoral care and erudition. The manuscript unites different layers and ages of the reform, not as a reverent enshrinement, but as a living version of their own history; the third generation of reformers continually tweaked and recombined texts, and the contents of this manuscript represent a working body of reformist knowledge and practice. Tracey-Anne Cooper is Associate Professor of History at St John’s University in Queens, New York. Her interests include the intellectual and religious history of Anglo-Saxon England, manuscript studies, and the representation of women in historical sources. A particular focus of her work has been the importance of manuscript context to the understanding of historical and literary sources. Her work has appeared in Writing Women Saints in Anglo-Saxon England (2013), Crying in the Middle Ages (2011), and The Sword of Judith (2011), as well as in journals such as Anglo-Norman Studies, Haskins Society Journal, and Mirator. She has received grants from the National Endowment for the Humanities, the Mellon Foundation, and the Kevin Brine Family Trust. She is currently editing a collection of essays on the representation of female aggression in the Middle Ages.